Today, our fellow citizens, our way of life, our very freedom came under attack in a series of deliberate and deadly terrorist acts. The victims were in airplanes, or in their offices; secretaries, businessmen and women, military and federal workers; moms and dads, friends and neighbors. Thousands of lives were suddenly ended by evil, despicable acts of terror. The pictures of airplanes flying into buildings, fires burning, huge structures collapsing, have filled us with disbelief, terrible sadness, and a quiet, unyielding anger. These acts of mass murder were intended to frighten our nation into chaos and retreat. But they have failed; our country is strong. A great people has been moved to defend a great nation. 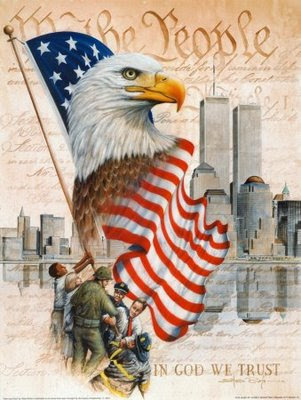 Terrorist attacks can shake the foundations of our biggest buildings, but they cannot touch the foundation of America. These acts shattered steel, but they cannot dent the steel of American resolve. America was targeted for attack because we're the brightest beacon for freedom and opportunity in the world. And no one will keep that light from shining. ~George W. Bush September 2001 I know there are struggles ahead, and dangers to face. But this country will define our times, not be defined by them. 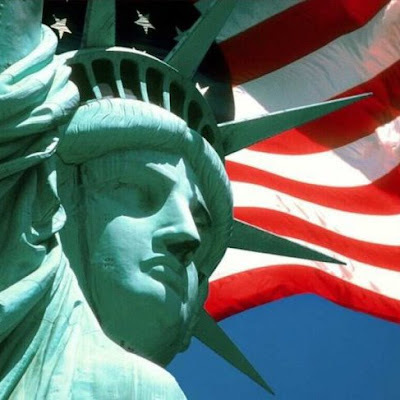 As long as the United States of America is determined and strong, this will not be an age of terror; this will be an age of liberty, here and across the world. Great harm has been done to us. We have suffered great loss. And in our grief and anger we have found our mission and our moment. Freedom and fear are at war. The advance of human freedom -- the great achievement of our time, and the great hope of every time -- now depends on us. Our nation, this generation will lift a dark threat of violence from our people and our future. We will rally the world to this cause by our efforts, by our courage. Peace and freedom will prevail. ....I will not forget this wound to our country or those who inflicted it. I will not yield; I will not rest; I will not relent in waging this struggle for freedom and security for the American people. The course of this conflict is not known, yet its outcome is certain. Freedom and fear, justice and cruelty, have always been at war, and we know that God is not neutral between them.